Make it the best. year. ever. 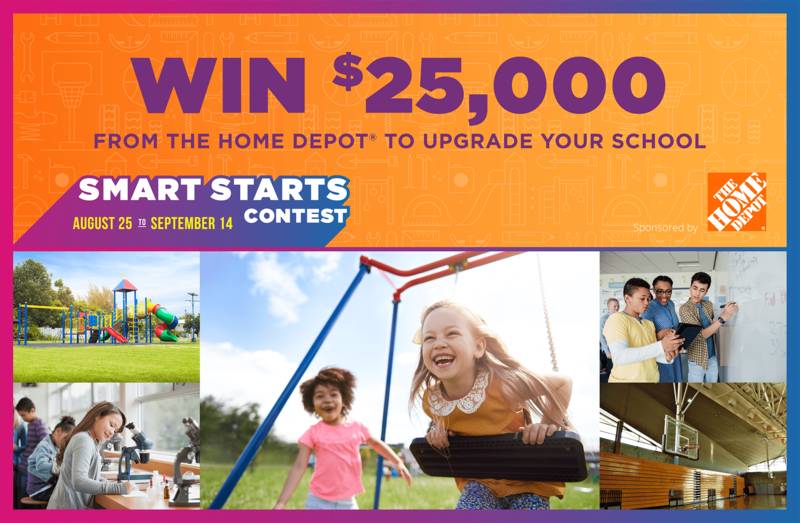 Enter your school or the school your scrip program is associated with to win $25,000 in upgrades from The Home Depot®. That’s one priceless opportunity and $25,000 worth of building materials, furniture, décor, and labor to update your already amazing school. Have your coordinator enter by sharing why your school needs an upgrade and what your school would do with $25,000. All entries will be judged on creativity and the project's impact, so be sure to provide details on your school's need. Your wheels might already be turning—but for even more inspiration, we’ve added some ideas that could become a reality for the grand prize winner. P.S. the runner-up will win $2,000 in The Home Depot physical gift cards. Flexible seating is a growing trend in classrooms across the country. 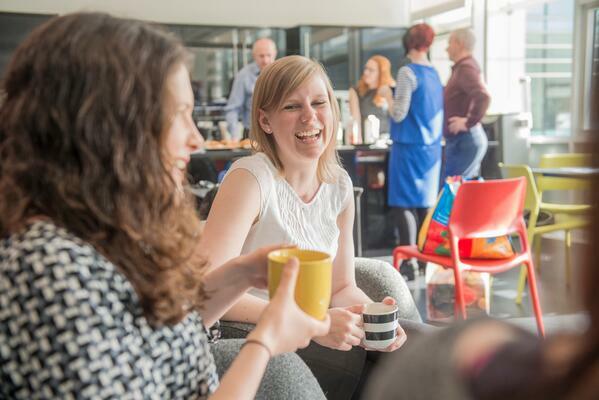 Help students think outside of their desks by adding sofas and stools for a more comfortable learning environment. Add creative spaces to the classrooms. Out with the beige and in with pops of color, dedicated reading corners, and extra white boards. Update the library to make it an inviting and collaborative space. Don’t just stick to tables and chairs. 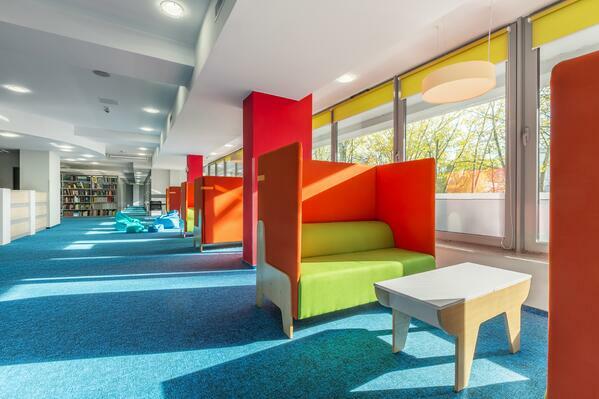 Add in soft seating to create a library that students will retreat to. Upgrade the teacher’s lounge. Adding new seating and swapping out fluorescent lights with LED ones will give teachers a space to relax during their busy days. Give extra attention to the administrative offices. They’re the face of the school, let's treat them to a space that really reflects that. Simple décor, a fresh coat of paint, and organizational storage can take their offices to the next level. Outfit extracurricular classes with the materials they need. Equip the shop class with tools, the gym with storage solutions, and the music room with lockers. Show your school pride by polishing up the exterior with some new paint. Simply retouching the existing color is enough to brighten up the building. Add some greenery to your school. Plant trees, add landscaping, or work on growing a garden that can benefit the entire school. Update the playground to make recess even more fun. 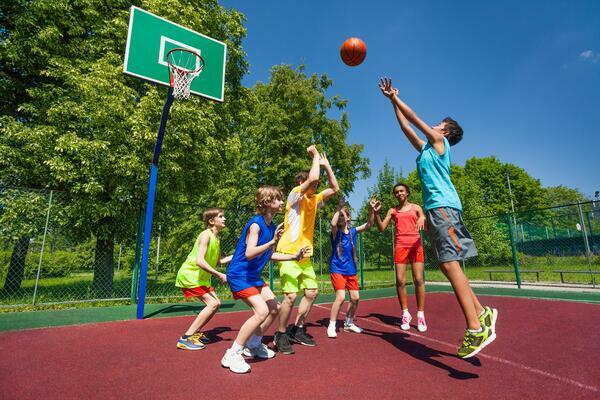 Spread new mulch, add to your play structure, or build a basketball court. What Would Your School Do with $25,000?